What is better than a road trip during the summertime? We have been writing a lot about road trips lately from the iconic routes to explore around the world to the best North American road itineraries. But nobody should hit the road unprepared. From building your travel itinerary to navigating the roads with ease to even dealing with unwanted situations, here are 5 must-have road trip apps to bookmark and download. As all seasoned travelers know, the best itineraries are not overwhelmingly packed like chore lists. Instead they are strategically filled with milestone activities and events such as hotel bookings, restaurant reservations, can’t-miss concerts, etc. The Travefy Itinerary builder let you import reservations, bookings and other trip confirmations via email. It also let you export you full itinerary to a nice PDF that you can save on your phone or print for that time when internet connection becomes a luxury. But group travelers’ favorite feature is the ability to invite other friends to a trip in order to collaboratively share trip ideas, chat about them, and add your faves to the travel itinerary. What makes Google Maps a must-have road trip app? First off, the offline mode is awesome to save maps and view them without internet connection. Second, the lane-by-lane navigation is a smart driving assistant that alerts you whenever you should switch lanes. And finally, the accuracy of the geolocation and the traffic estimates is more than remarkable. Since we are talking about accurate traffic estimations, never leave home without Waze. Truly vital road trip app, Waze pulls real-time data from other drivers to warn you of traffic jams, road accidents, and other problems that will slow you down. What really made Waze popular — or infamous depending on where you stand — is its ability to also alert you of police stops and speed cameras. It even suggest alternative routes to work you around the problem. What is worse on a road trip than a breakdown? Maybe a breakdown in the middle of nowhere. For those moments when you need roadside assistance, there is Urgent.ly. Dealing with car problems can be time-consuming, expensive, and infuriating. Urgent.ly pinpoints your location, let you start diagnosing your car issues, and let you choose from a wide range of services and solutions. Car broke down or you are too tired to continue behind the wheel? No sweats. Hotel Tonight is a huge name on the last-minute booking niche (at least in the US) and will provide you with a roof and a bed with amazing discounts. Everyday at noon, new rooms and properties pop up complete with image, description, and ratings. Easy to use, Hotel Tonight is an essential road trip app for disorganized, spontaneous, and unlucky travelers. 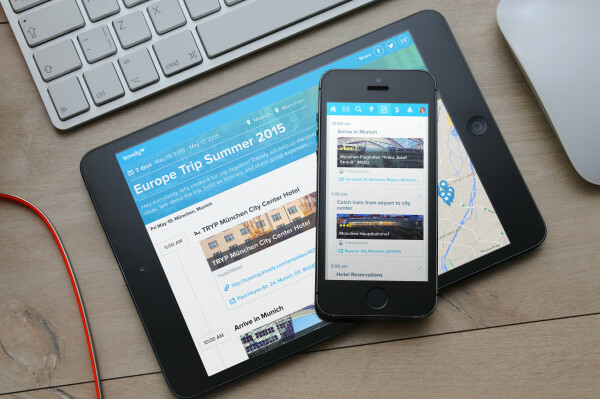 Here is our choice of the road trip apps every group traveler should have on their devices. Did we miss your favorite app? Tell us all about it in the comments.